Our clubhouse, with its classic style, beautiful marble floors, and rich looking interiors, is the center of activity at the Jacksonville Country Club. Our club has beautiful dining and meeting areas, a golf pro shop, tennis courts and a large swimming pool to offer all of our members. The Clubhouse has a formal and informal dining room which offers gorgeous views of our prestigious golf course. Our rooms are open for lunch to our members every day with the exception of Mondays. Dinner is offered Tuesday through Saturday with an extensive menu to choose something your taste buds will love. 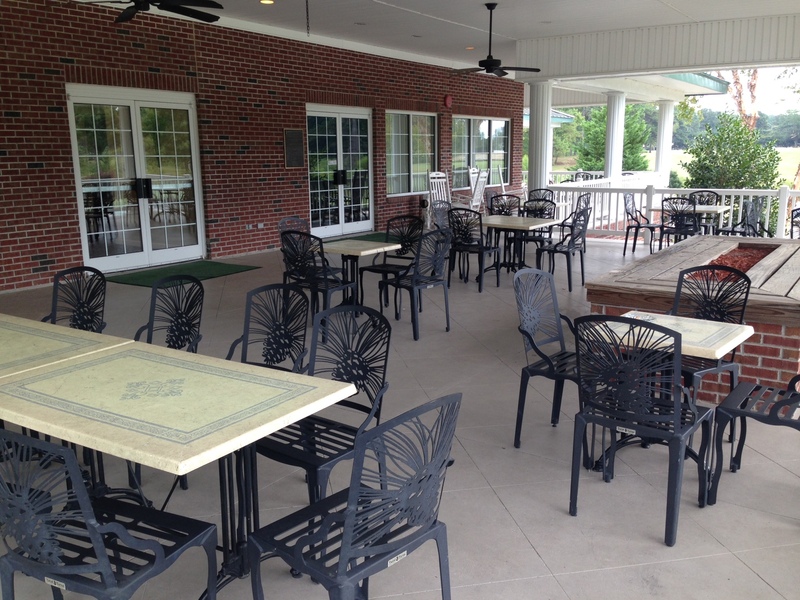 If you are looking for a meal outdoors, join us on the wrap-around porch for a light meal and great conversation. After a long day of golf, stop by Jack’s Bar for a cold drink and a chance to watch a game on one of our big screen TVs. The Clubhouse also comes equipped with both men’s and women’s card rooms and separate locker rooms. Our grand ballroom and private meeting rooms are splendidly adorned to accompany any meeting or gathering.